Weight loss clubs; rumoured to have first started in America around 45 years ago developed from a woman having a get together (read: house party) to chat about each other’s diets and what they were doing. Now almost every city, town and village has at least one branded weight loss club running (because ANYONE can buy into or set up a franchise) and promoting sign ups to their ‘revolutionary’ slimming methods; despite each one seemingly following the same basic layout of turn-up, get weighed, get spoken at, do it all again next week. The basic idea seems good – get people with a similar goal together to help each other work towards it (sounds like Burn It). Unfortunately these slimming clubs can often just turn into shame clubs! There are of course going to be the handful of franchises bought by people who do have a heart and good intentions, not many, but still have to follow the business pack ways. How many times do you see people you know miserable because they’re ashamed for not losing anything at ‘fat club’ the night before? And how many have jacked it all in after being fed up of feeling judged, useless and leaving their club with their tail between their legs each week for not living up to their goal. …on your period? …been gaining lean tissue? Doesn’t matter, you didn’t ‘lose’, therefore you’re a failure this week. ‘I’ve done it three times now and lost weight’ = ‘I’ve failed to become healthy 3 times now’. A quote from a member of a recently liquidated slimming club said she had been attending for around 20 years. TWENTY YEARS! You’ve been trying to lose weight for 20 years!?! Dropping the attitude of doing anything to make the weigh in day is ok, to go to your old eating habits of course any weight loss while be regained, so once more you sign-up and so it continues. Below is a list of some of the common pro’s and cons of slimming clubs. Slimming clubs can work for the few, but the fact there are so many of them attended each week and yet the problem isn’t going away shows a lot. Ask yourself, are you REALLY learning anything? Are you actually changing? Are you kidding yourself? If it didn’t work before, why will it this time? Has your mindset shifted? 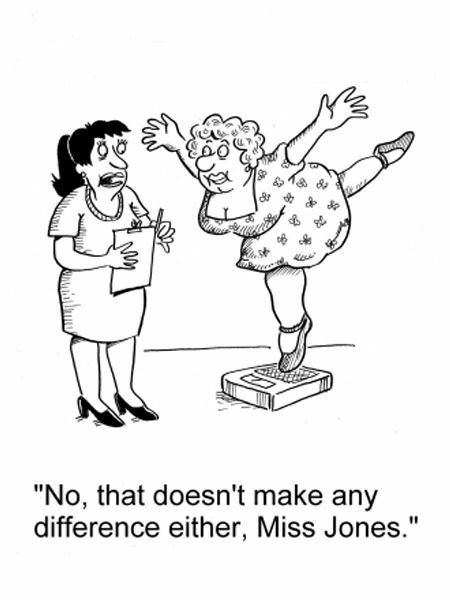 Does your weight matter? (It absolutely does not!) . Burn It is not a weight loss club. The basic idea of get people with a similar goal together to help each other work towards it is where the similarities end. That and yes it can be considered a club. Burn It wants to get you out there, in the fresh air, to feel inspired and sweaty and get the heart racing and feel good hormones pumping! Moving your body, building lean tissue and increasing fitness will improve mental health, positively impact on sleep, build confidence, and as a side effect of all this help you shed unwanted pounds of fat. Weight loss is a great outcome, but isn’t the focused be all and end all goal.